Kojin Kyoei Special Printing started at Nakameguro, Tokyo. Shinei Screen Inc. was founded at Osaki, Shinagawa-ku. The company joined the pan-industry social event supported by Commerce and Industry Section of Shinagawa city. The company increased capital to 10 million yen. The company launched light emitting plates. The company joined the pan-industry social event supported by Tokyo Metropolitan Government. The company launched water-soluble lanterns that feature eco-friendliness. 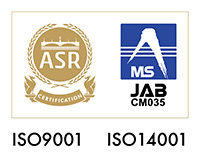 The company obtained ISO 9001 certification. The company obtained ISO 14001 certification. The company obtained the patent of variable color indicator. The company obtained the “Made-in-Shinagawa” brand. The headquarter and factory moved to Nishigotanda, Shinagawa-ku.